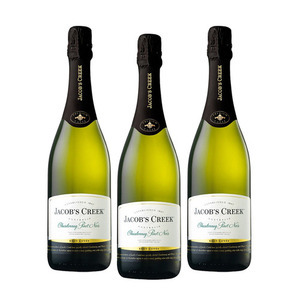 Jacob's Creek Chardonnay Pinot Noir consistently out shines the more expensive opposition for freshness and vibrancy. The citrus and toasted cashew flavours of Chardonnay are married beautifully to the fresh bread crust characters of Pinot Noir. 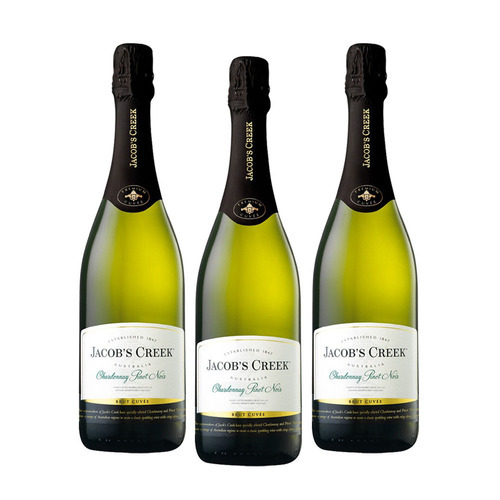 The winemakers of Jacob's Creek have selected premium Chardonnay and Pinot Noir grapes to create a classic sparkling wine with crisp, citrus characters. The premium sparkling wine is made from Chardonnay and Pinot Noir grapes displaying classic citrus flavours with a delicate crisp finish. An outstanding example of Australian sparkling wine, ideal as an aperitif or for any occasion that calls for celebrations. Our winemaking tradition dates back to 1847 when Johann Gramp planted his first wineyard on the banks of Jacob's Creek.